Do you stream videos through a PC, game console or other device? When you add an HD antenna, you get free local TV as well! Enjoy exceptional HD digital reception with the GE Attic Mount Indoor Antenna. It installs in your attic for excellent reception while staying out of sight! This antenna receives and filters signals for superior performance. It works with all TV and converter box brands. Designed for HDTVs, you can receive up to Full HD 1080p. The mounting bracket, mast and assembly instructions are included. This product comes with a limited-lifetime warranty. GE is America's #1 Antenna Brand - Watch FREE High-Definition TV broadcasts including networks such as CBS, NBC, ABC, Fox, Univision, CW, PBS and more! 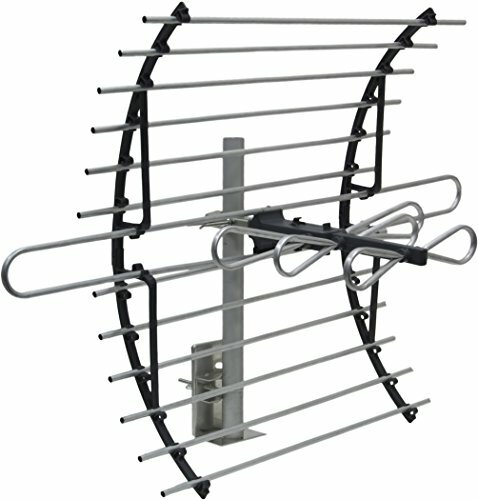 Compact high-performance antenna design makes it easy to mount and position for best reception. Signal Enhancing Reflectors increases signal strength and reduces signal dropouts. Easily mounts in the attic for excellent reception while staying out of sight. Mounting bracket, mast and assembly instructions included.